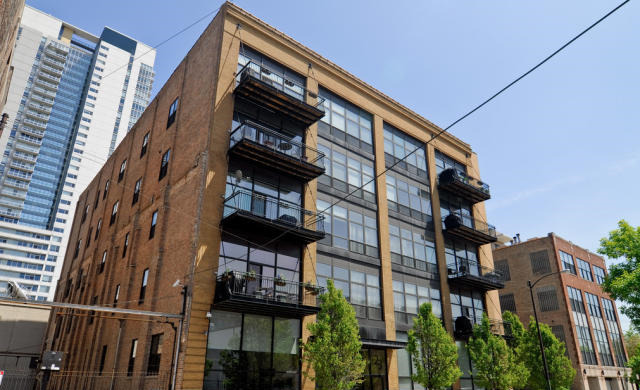 We saw the perfect opportunity to capitalize on the West Loop neighborhood's emerging demand for modern luxury residences at 23 N. Green Street and quickly acquired the 62,500 square foot, five-story concrete loft building. Once a Chicago bakery, we successfully converted the property into 23 luxury residences and 2 commercial condominiums. Due to a complex structural system, other developers passed on the property, but we had a vision: to perform a gut rehab and successfully convert the space into large luxury residences. At the time of the redevelopment, the West Loop sub-market was just beginning to emerge, and the new construction catered to upscale, first-time buyers. There was no new construction product for move-up buyers, or for empty nesters. To capture this new market segment, we incorporated larger floor plans, spacious room sizes, powder rooms, and more spacious kitchens and bathrooms than the competition. Additionally, many of the units contained dens and offices. The final result was a successful project with highly acclaimed layouts that sold out before completion. Ninety percent of buyers came from within the targeted sub-market, confirming the demand for new construction move-up product in this market. Today, the corridor is the hottest development area in all of Chicago.